So, this is about the first time I've focused on anything Zombie Squad all year. That said, there's not a whole lot of news, but I did get around to renewing some of my domains and began poking around the availability of some simple website names that may apply to us. I've registered both zsatl.com and zsc016.com as DNS redirects that point to our chapter's forum page, www.zombiehunters.org/forum/viewforum.php?f=90. Perhaps more can be done with those DNS names in the future, if we want to put together a website for anything. I can set aside a subdomain on one of my personal websites, or even see about getting some dedicated hosting if we want anything more prominent. I've also been keeping my eye on ZS's 501(c)(3) status, since "Zombie Squad International Inc" (EIN: 46-0793102) had theirs revoked on 5-15-2015. 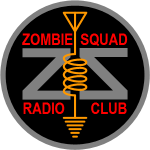 Good news, as of March 22, 2018, it is active again, under the name "Zombie Squad St. Louis" (EIN: 82-5092134). Using the IRS Exempt Organization Search tool located here, you can even pull up the official records. One such record that is worthy of sharing is the IRS "Favorable Determination Letter", currently located here. So that's exciting news, and it means we can now continue to operate like the public charity we all knew and loved until a few years ago. Thank you for bringing that to our attention! That is awesome you found all that info and saved those website names. Great work. I don't have time for much participation, but please let me know if we're doing anything other than LARPs.